Thank you for being part of the growing number of quality conscious customers who have chosen THOBSON as an essential step towards their business growth. As a global organization, We now have moved into an era of next-generation IDEAS, where commitment to not only visualize on, but also the practical implementation and delivering true results is becoming a reality. We have invested for years and years, not only in recruiting and developing the best expertise, but also in creating and collecting a huge reservoir of the world's best ideas. Combining these allows us to provide exponential added-value to our client's organization. I am convinced that in our profession, it will always be important to have the best people. However, the challenge is to leverage on what the best available professionals can do for the clients. Arming them with our library of best ideas makes it possible to realize. In a way, by creating maximum value for our clients in "Orchestrating Business Excellence," we are reshaping our own industry at the same time. We emphasize the fact that our customer's and business partner's successes is Thobson's success. There is one thing that serves to unite us. That the future belongs to the progressive and aggressive Corporate Customers. One that's not afraid to embrace change and challenge. One that's willing to be different. We salute the brave customers that we support. The sole purpose of a Service company is to create growing sustainable value. At Thobson, we are totally focused on this purpose. In order to close this gap, we must first deliver strong short-term results. Of course, we will not stop there. We will further improve perceptions of our long-term potential via transparent communications. A company cannot completely avoid all the ups and downs in its performance. But it should learn from past mistakes and never make them twice; this behavior is part of Thobson. We are committed to gaining the trust of our valuable customers and delivering superior performance. The more than hundred quality products we market under our portfolio of brands are a crucial competitive asset, delivering customer satisfaction and performance second to none. Innovation is the driving force that propels our growth. Each year, we add new ideas, solutions, technology enhancement and offerings. "The wealth of a company is its people. By that standard, we are a very wealthy company." With over 160 employees and representatives worldwide in 5 countries and territories, The Thobson Group Of Companies benefits from the contributions of individuals who share curiosity, ingenuity, passion, energy and an unquenchable desire for success. And regardless of where they live, people want to come to work for The Thobson Group Of Companies, and they want to stay. We are deeply committed to nurturing this great resource and to fostering a collaborative working environment that transcends geography. Most important, our highest priority will always be our commitment to building great brands, solutions and great people. Thanks to them, The Thobson Group Of Companies will remain the customer's first choice for the very best in all aspects. For over 20+ years, Thobson has lead creativity and innovation in custom web and software applications and managed infrastructure and corporate IT solutions. Offering full-stack technology integration; We deliver unparalleled service to our customers. Thobson, Thobson Technologies, Thobson SEO, We Promote You Achieve, 300 Seconds Instant Host, See Me Grow, Cuda Connect, CommitWare. The Company sells its products principally through limited distribution channels to compliment the images associated with its brands. The channels consist primarily of high scale technology companies with qualified professionals and a minimum of 10 Years of presence in local markets. 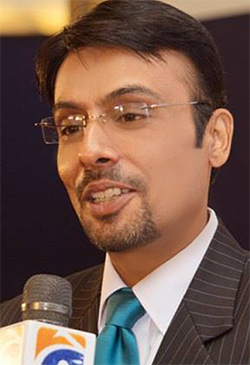 The Company was founded in 1999 by Shah Thobani. The flagship brand, Thobson Technologies (www.thobson.com) was launched with four solutions and services and with the passage of time in turned into a huge enterprise and knowledge center. The Company then acquired a lot of other high technology companies to become the industry leader for most of the major technology brands and services. To become a preferred company in every market we serve, by consistently providing innovative products and flawless delivery of services, proactively reinventing ourselves to meet market demands, cultivating in our people a sense of pride and ownership, and striving to be always better than what we are today... tomorrow..
WE PERFORM to become a preferred company in every market we serve, by consistently providing innovative products and flawless delivery of services, proactively reinventing ourselves to meet market demands, cultivating in our people a sense of pride and ownership, and striving to be always better than what we are today... tomorrow. WE PERFORM to create an organization that is flexible, responds, to change and encourages innovation and creativity. We are committed to the process of continuous improvement in everything we do. WE PERFORM various activities to our employees' growth and development and we will nurture them in an environment where excellence, integrity, teamwork, professionalism and performance are valued above all else. WE PERFORM to deliver products and services that surpass customer expectations in value and every aspect of customer services, while remaining to be prudent and trustworthy stewards of their wealth. WE PERFORM to deliver products and services that surpass Your expectations so that You achieve every aspect of our services, while remaining to be prudent and trustworthy stewards of your wealth. Copyright © 1999-2019, Thobson Technologies. All Rights Reserved. Log in with your email address and your Thobson Client , Cuda Connect Cloud Spam Firewall, or Thobson Partner Portal password.